Looks like I’ll have to pick this up when it comes out! 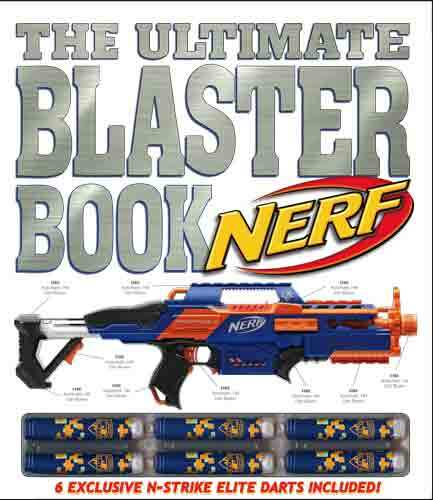 I wish they showed some of the older, “vintage” blasters on the cover, though. Yeah, I’m definitely getting myself one as well. You gotta love pretty photos of Nerf blasters. As for the lack of Vintage blasters on the cover, I guess that just goes to show that it seems that the focus on them is moving farther away bit by bit. I wonder if that cover is final though? The white stripes look like they were caused by reflection off the plastic cover, rather than printing on the darts. Those darts look like regular elite darts. Here’s a different take on the cover that shows some neater darts: http://www.seaofstories.com/images/cover/5891.jpg Whatever happened to those special edition elite darts they were supposed to release anyway? Any idea if content will include any vintage equipment pre-N-Strike? Obviously, the blurbs and pic’s are what is shown here (courtesy Amazon) and on Sea of Stories, but does anyone have any insider knowledge as to whether this will be an exhaustive encyclopedia format or just some recent N-Strike/Vortex history promo to hype Elite, Mega, Rebelle, etc? Nevermind. I should have checked out AFON before asking. My bad. Thanks for the info, BN. 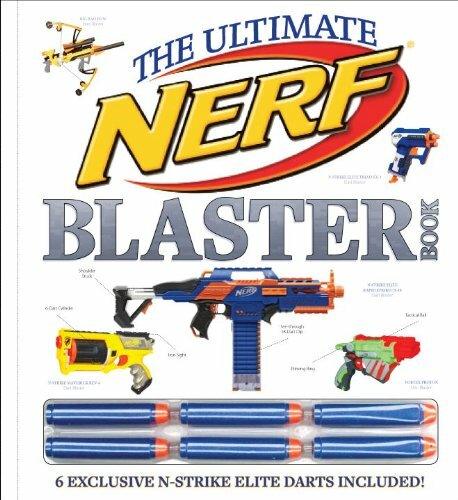 I hate to say it, but I’m not really interested in exclusive darts and promo info about future blasters which will hit the pages of all blogs as soon as someone has a copy.